Kitchen cabinet drawers and shelves are no longer used to simply hide dishes, pots and pans, and flatware from view. For homeowners who have little prep space, or for those who like their countertops to be empty for a clean look, everything from everyday prep tools like cooking utensils to electronics like toasters and coffeemakers can now be tucked away – yet easily accessible – with pull-out shelves or drawers. 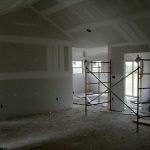 When remodeling your kitchen, you may be mostly concerned with the look of your cabinets and drawers’ exterior, and their layout. However, by thinking about what goes inside, you can also keep you new kitchen highly organized and highly stylish. Here, dividers clearly delineate where to put what. With such organization, you’ll never have to search for that can opener again. 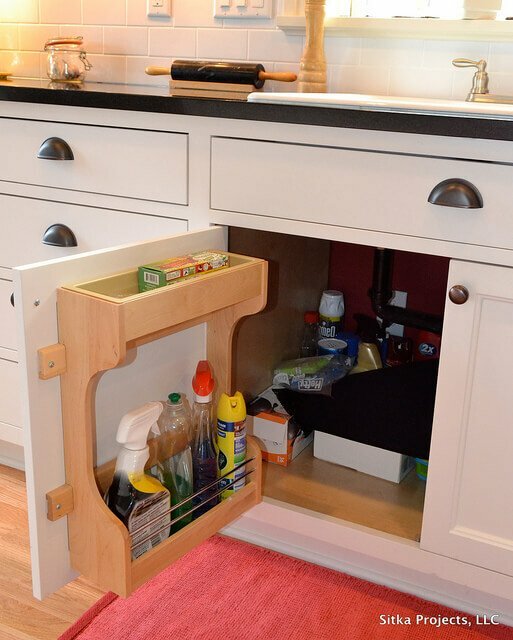 Behind the doors below the sink, you can add handy storage units to hold sprays and cleaners. 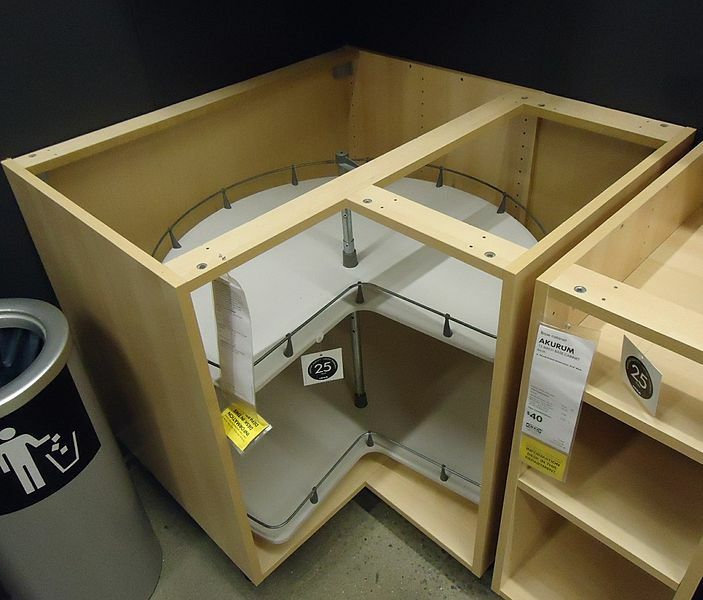 You can also hide the trash with cabinets designed specifically to store your wastebaskets and recycling bins. A base cabinet with partition walls can hold awkward items, such as baking pans, cutting boards, and other large, flat items. The partitions work to divide the items and make it easy to spot what you’re looking for. Drawers added to the bottom of wall cabinets that “sit” on your countertop provide a way to keep utensils and other everyday items close at hand. This will give your kitchen an even more customized look and added convenience, since they’re at the same height as the sink and countertop. An appliance garage in a kitchen cabinet is a great way to keep items like a mixer or coffee grinder out of sight, but near at hand. The door lifts up, saving countertop space and avoiding blocking another cabinet door. How much will your kitchen renovation cost? 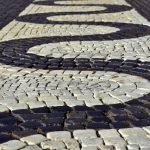 Find out now for free with Kukun. Tambour doors, also known as roll-up doors, are made of slats that roll back into the top of the cabinet. This type of door is ideal when countertop space is at a premium, because the door essentially disappears and does not swing out. Pocket cabinet doors with shelves are another great way to hold items because their doors tuck into the cabinet without sticking out in the walkway, letting you keep them open without taking up space. A pop-up shelf is a great way to store an appliance and keep it off the counter, because the spring-loaded shelf reaches out to counter height, allowing you to use your appliance without moving it. Just remember to install an outlet inside the cabinet. 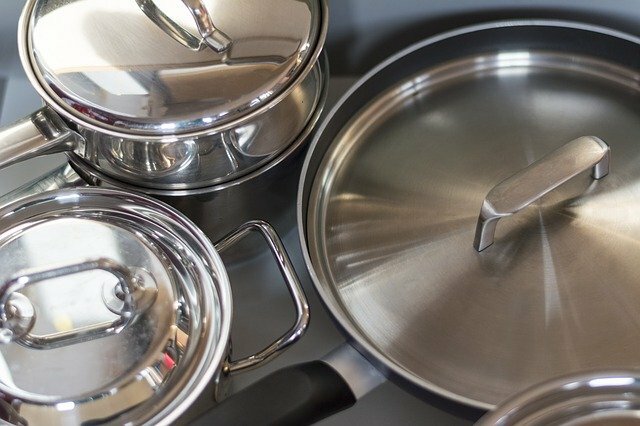 Forget about haphazardly storing pots and pans in hard-to-reach under cabinets with no organization whatsoever. Deep drawers can feature interior dividers, so each pot has its own storage niche.You’ll love this option when it’s time to cook and you don’t need to search for that stock pot. When you don’t have enough wall cabinets or you want to make use of every square inch of storage space, an oversized drawer that’ll hold your dishes and cups is worth the investment. Pegs separate the dinner plates from the dessert plates, and can be rearranged to allow for other items. The pegs also work to ensure that your serveware doesn’t slide around and get damaged each time the drawer opens or closes. Sliding open weave baskets are a great way to store – and display – produce that needs proper air circulation. This easy organization solution isn’t just functional, but also decorative, as the baskets add rustic warmth to your kitchen. In addition, the open shelving allows for a visual break in the mass of adjacent bottom cabinets. For extra work and prep space, turn a drawer into a pull-out cutting board. The board is handy, especially when you’re chopping different things and don’t want them to mix. Just make sure the drawer is at the right height so you don’t have to bend down while chopping. Also make sure that the board is firm when pulled out and doesn’t wobble or tip. It’s said that variety is the spice of life – and a variety of easily accessible spices will make your life more delicious. 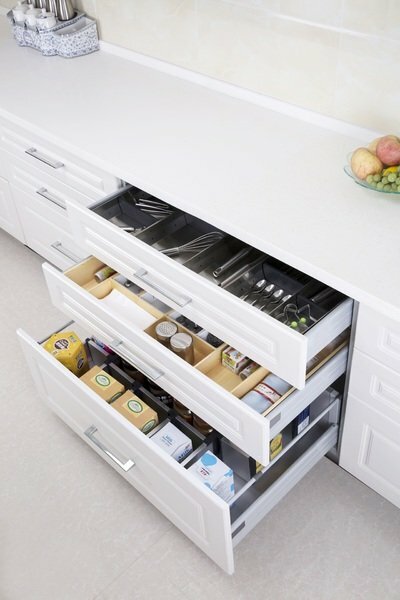 A convenient way to use a drawer that might not have a designated purpose, the tiered configuration allows you to see each spice and provides easy access. Kitchen corners are often dead space and leave a “break” in the rhythm of base drawer cabinets. Outfit a corner with a lazy susan installed in a cabinet, and you’ll have a surprising amount of extra storage space. Try not to think of interior cabinetry setups as secondary. They should be thought of as an integral part of your design plan, not only because they help declutter the kitchen, but also because they aid in making your kitchen look more spacious. It’s a pleasant surprise when everything is streamlined and hidden, when you open up a tall base cabinet and find waste and recycle bins for example, or when you pull out a drawer and find dishes neatly arranged. In addition to looking nice, creative drawer and cabinet configurations also make it easier to find what you need in your kitchen, when you need it.